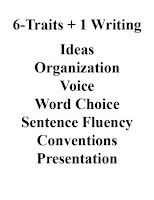 More than once over my teaching career, I've told student writers the following: “I like your ideas, but I don’t hear you saying them. You're the world’s foremost expert on yourself. Make sure you speak with your own voice. Use your own words.” In a very real way, the first step of writing is to find yourself; once you have tapped into the fountainhead of your creativity, you will naturally write with your own voice. 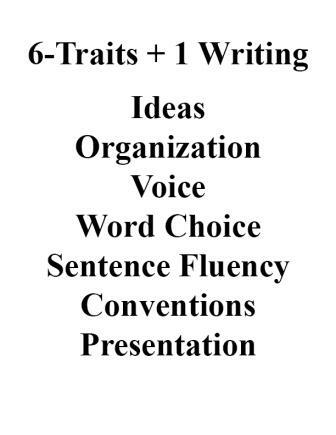 The 6-Traits + 1 writing program defines voice as speaking to the reader in an individual and powerful way that also respects the audience and the purpose for writing. Notice that the word “speaking” was used in the definition. Often, “voice” is described as writing like you talk—in a natural manner that reflects who you are. Writing with a powerful “voice” begins, in a manner of speaking, with looking into the mirror and “embracing” the image you see and then looking out the window and “embracing” the people you see outside. Voice implies audience because we speak with different voices to different listeners. Finding your writing voice is really the task of finding yourself, for how can you speak in your own personal, natural voice if you don’t know who you are? Or, perhaps more accurately, if you are afraid to be yourself when you write, how can you possibly have a writing voice that is uniquely your own? I've been practicing the Transcendental Meditation technique for many years. This isn't a writing technique, but I would call it a preparation for the activity of writing. I guess one could say it cleans the slate prior to writing. To speak with your own voice, you must be willing to reveal personal details about yourself, to reveal the person behind the words. Our voice represents of--in a very real way, it is who we are. Focusing on the person you are talking to is also important to finding your voice because we use different words and styles of speaking in different situations. If you write up your job application as if you’re writing to your eight-year-old cousin or nephew, your prospective boss might think you have issues and not hire you. You don’t ask your prospective boss how his hamster’s doing. A professional writer from Ireland, Derbhile Dromey is a freelance writer with extensive experience in news and feature journalism, publicity-generation and broadcasting. She is the owner of WriteWords, a business that offers a range of editorial and copywriting services. 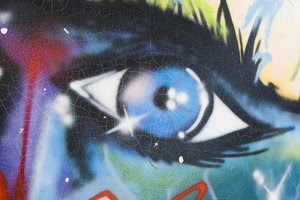 She has commented about writing in discussion groups and in an article on her blog “World of Writing,” saying that connecting to your true self inside is the basis of connecting with your actual audience outside. “So what makes good copy.